The laundry is that kind of room that people always neglect, so most of them don’t really have a decor or organization system. It’s just a bunch of baskets scattered around and a lot of clothes spread everywhere. However, your laundry can be different, it can even be stylish, if you really want to. And it doesn’t take a lot of effort, anyway. So, here are some advices to organize and boost your laundry’s overall look. 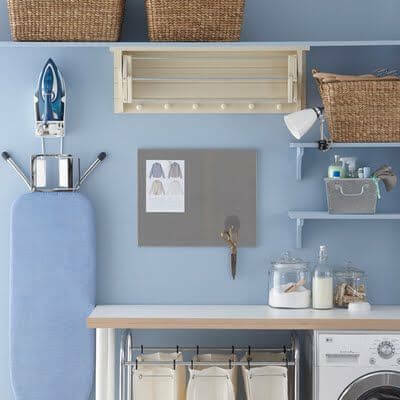 If you don’t have enough space to have a separate room to install your laundry, your (well organized) utility room will have to do the trick. 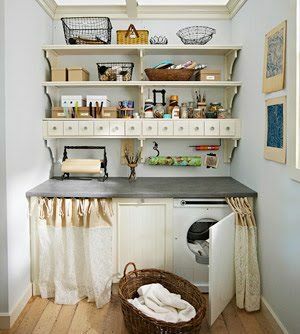 Small tricks like creating a working surface over the washer and the dryer, curtains to hide the machines and baskets for multiple storage are essential to make the best of the room. 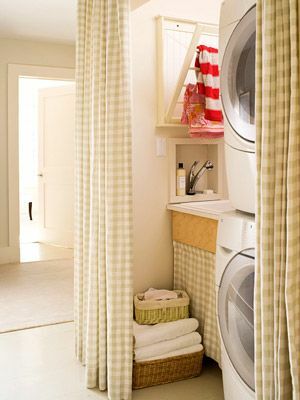 Even a small laundry like this one can have a drying rack or double towel bar. These are great when you need to air-dry your clean sweaters or rugs. This one is obvious! 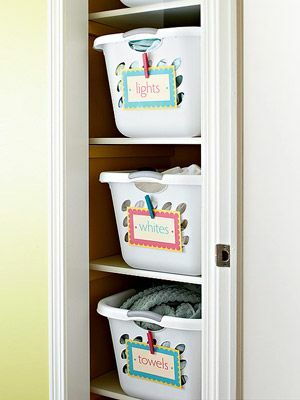 Organize the little space you have with clever storage ideas like properly identifiedÂ sorting baskets. 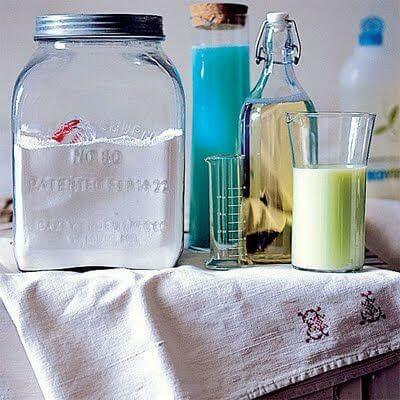 If you’re dreaming of a stylish laundry, keep your detergent and softener handy in nice dispensers like these. 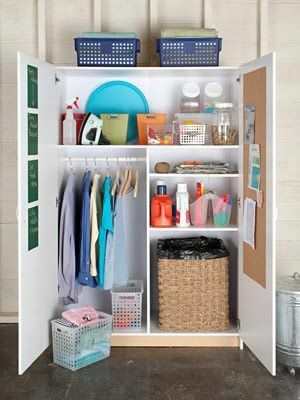 If you have the necessary space, install an armoire like this in your laundry. 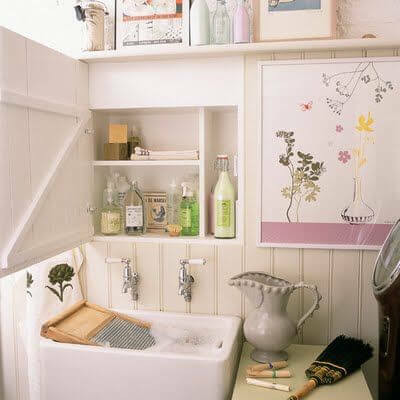 It will be perfect as a utility room organizer. Keep the ironing board near your other laundry items. Make sure it matches with the rest of the decor! If you have a spacious laundry room, get a washing tank to do your manual washing. It’s so much more practical than doing it in the sink.